The demolition of a rundown estate in West Yorkshire will be discussed by councillors in the near future. City Estate, in the old mining village of Fitzwilliam, has been declining since the disappearance of the mining industry during the late 1980s. 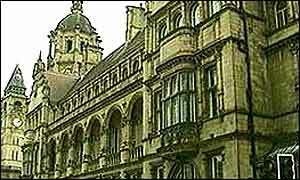 Wakefield Council's Cabinet will meet on Tuesday, 21 January, when it will be asked to sanction the second phase of demolition in the village. The first batch of 60 empty properties were demolished recently, and a further 54 properties are set to be knocked down as part of the council's £435,000 clearance scheme. Wakefield councillor Peter Loosemore said: "The houses were built by the National Coal Board as homes for miners, and the reason for their existence has gone, along with the mines themselves."